Collaborating with others and gathering feedback is an essential, but often challenging part of the storyboarding process. 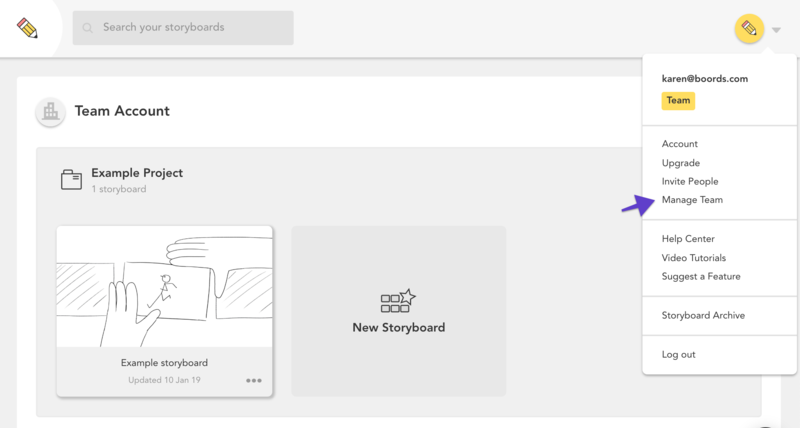 Boords helps take the stress out of collaboration by offering a variety of ways to share your storyboards and animatics with others. Using the shareable link is a quick and simple way to share your work and collect feedback from others. 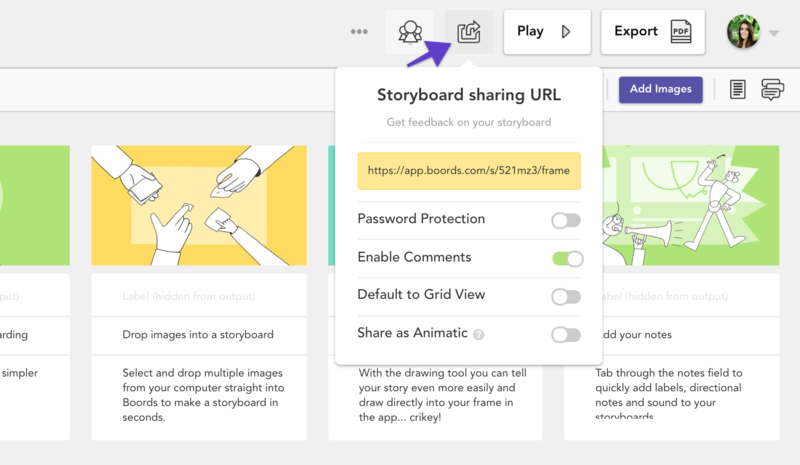 First, open the storyboard you want to share and click the Share icon. 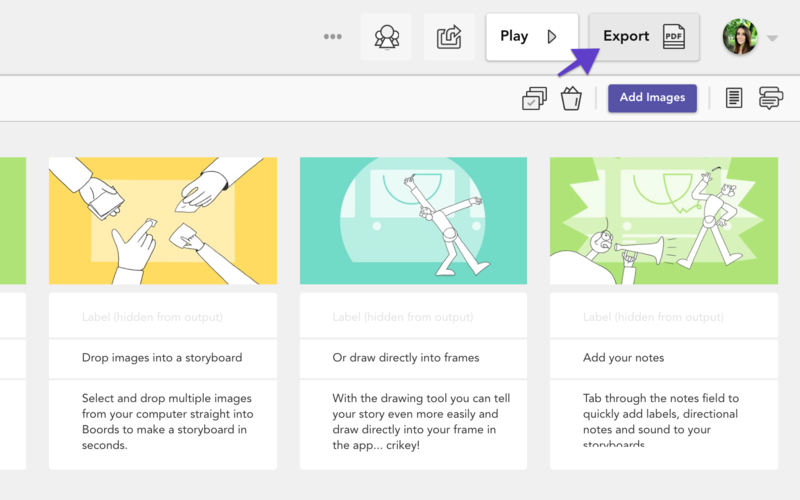 Before sending the link to others, you’ll be able to add or remove a password, enable comments, set the layout view and decide whether you want to share your work as a storyboard or as an animatic. Copy the link, then send it to clients, colleagues or anyone you want to share your work with. 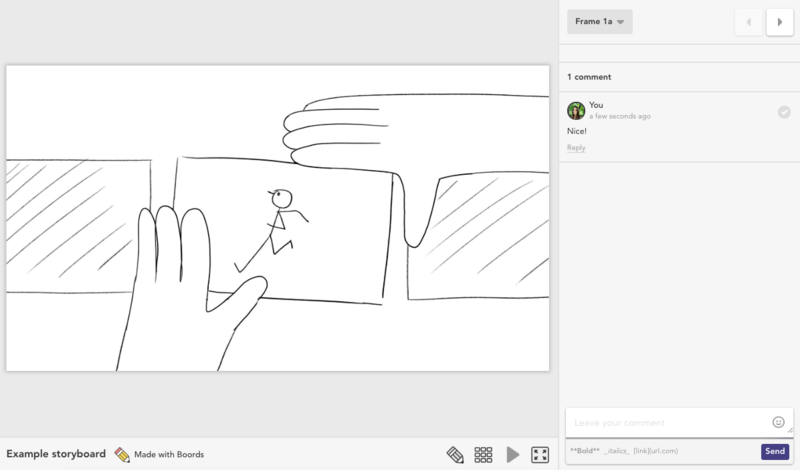 They’ll see the your storyboards or animatic in the shareable view and can add their feedback by leaving comments on frames. The option to share work with the shareable link is available on all plans. 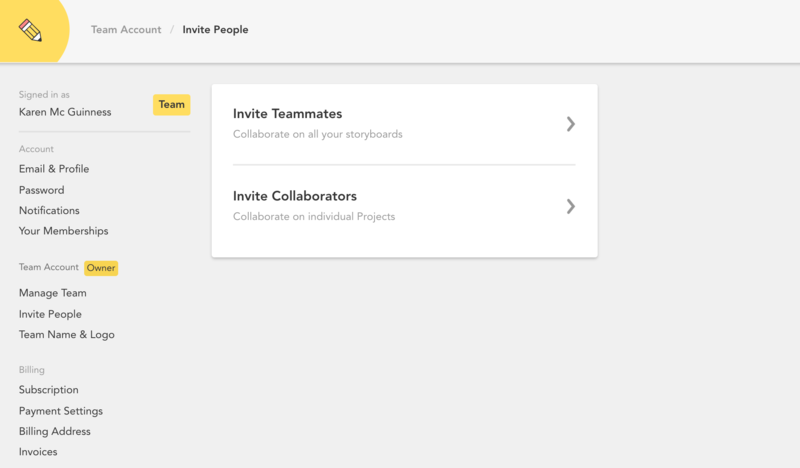 If you want another person to have access to edit your storyboards, you’ll need to add them as a team member. To do this, first click your profile image in the top right-hand corner of the Project Dashboard. From the dropdown menu, select Manage Team. Choose whether you'd like to add Teammates or Collaborators (or both!). For more information about the difference between the two, check out this article. Then, send invite your team-members to join your account! Enter their email address to send them an invitation via email. When they accept, you can choose the level of access you’d like to allow them. Learn more about setting up a Team account here. 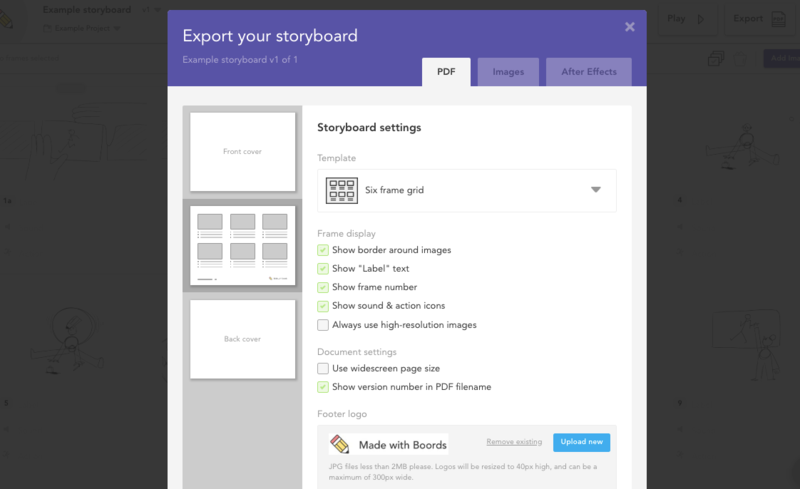 To download your storyboard as a PDF file, click Export. Customise your PDF by choosing a frame layout, adding your logo and adding a personal front & back cover. PDF exports are only available on Plus & Team plans. 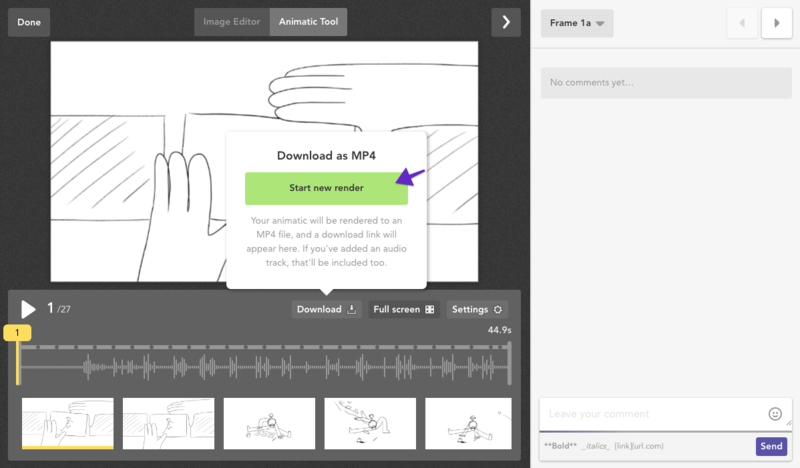 When you've completed an animatic, you can download it as an MP4 file. First, open the Animatic Tool, then click Download. Start a new render and then download the animatic onto your device. MP4 renders are only available on Plus & Team plans.